England, circa 1668. Contains approximately 300 culinary recipes and 425 household remedies for disease, wounds, etc. 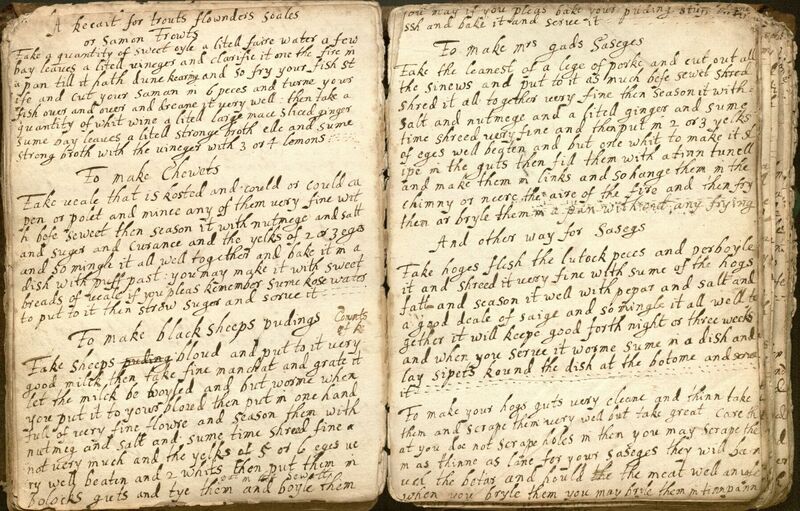 Dyke, Elizabeth, “"Booke of Recaits” [manuscript book of culinary recipes and medicinal remedies],” KU Libraries Exhibits, accessed April 22, 2019, https://exhibits.lib.ku.edu/items/show/7236.